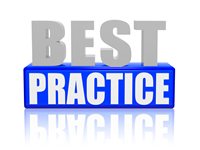 BEST PRACTICE: As a general rule, Subset selection method should be not be used in production applications. If someone changes the subset inadvertently, the application(s), depending on those subsets, may fail. Use the Subset selection method only when there is a specific business need to maintain the list of members in TM1.